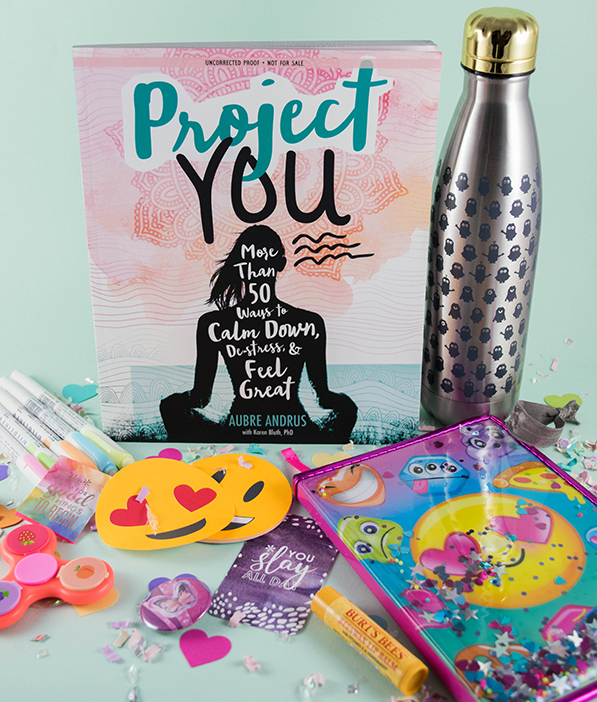 Project You: More Than 50 Ways to Calm Down, De-Stress, and Feel Great | YAYOMG! After a fun and relaxing summer of kicking it by the pool and sleeping in, the new school year can sometimes seem like an abrupt change. When adjusting your routine from beach days to homework, it’s important to not get overwhelmed by the new responsibilities that await you when you head back for another year. You may have heard a thing or two lately about how self-care is important or even dabbled in meditation or yoga. These are great ways to relieve stress and find balance, but there’s so much more to it. On top of the usual school related requirements like projects and tests, you may be trying out for a sports team, running for student council, or even taking dance classes after school. Sometimes we overload our schedules and even when they’re filled with fun, they can still be stressful. That’s why it’s important to remember to take a break and work on ourselves. That’s where Project You comes in! 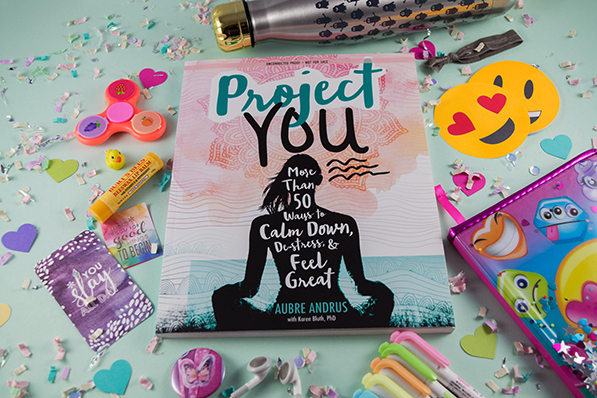 Project You: More Than 50 Ways to Calm Down, De-Stress, and Feel Great by Aubre Andrus features tons of easy tips to help you relax, calm down, and deal with the stress and the pressure. 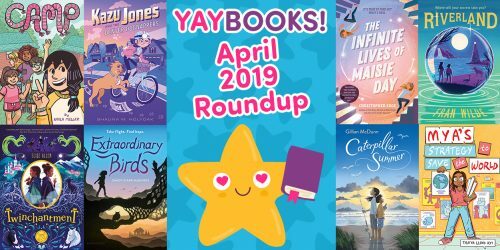 The first thing you’ll notice about this book is just how beautiful it is. Seriously, the graphics and images in this book are just gorgeous and you’ll feel totally zen without even doing much more than flipping through a few pages of pretty pictures. 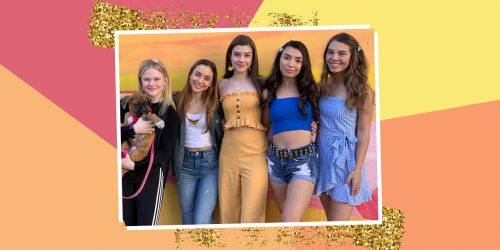 But Project You is so much more than that. Our friends at Switch Press sent us this read and challenged us to complete one of these relaxing life hacks. We chose to Get Some Sun. Before we dove into our challenge, we did the Wellness Check at the beginning of the book. 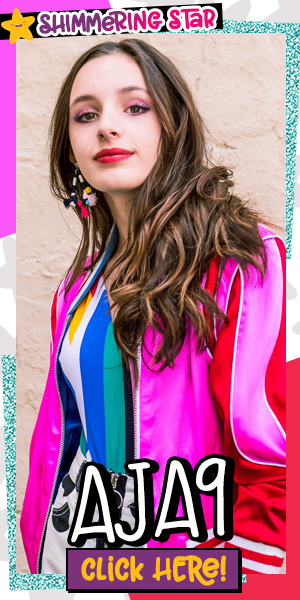 The Wellness Check is exactly what it sounds like – a checklist that asks you to take a moment to check in with yourself to see where you’re thriving and where you can use some help. The 23 items on this checklist are a great way to make sure you’re eating right, staying confident, and feeling energized, and just generally doing okay. Working on YAYOMG! is a ton of fun, but we spend a lot of time at our computers and phones to bring this site to life. 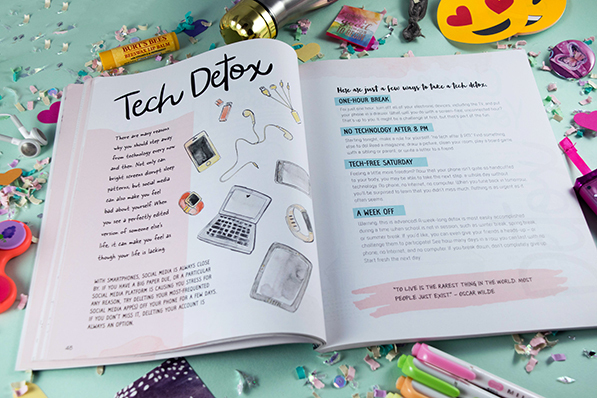 While we’re definitely in need of a Tech Detox, being disconnected is a little hard for us in terms of work. That’s why we chose to Get Some Sun for our challenge. 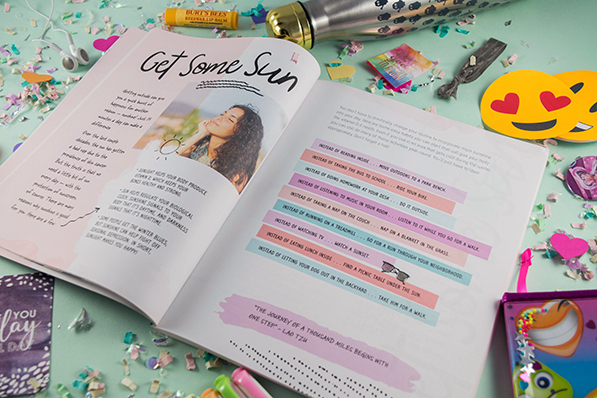 The Get Some Sun section encourages you to break free from your usual laying on the couch, binge-watching status by helping you get outside a little bit at a time. Sunlight is a great source of Vitamin D, which helps keep your bones healthy and strong. It’s also a great way to boost your mood as Vitamin D has been known to help ward off the bad feels. Sunshine also helps your biological clock knows what time of day it is, which helps more naturally prepare you to wake up or fall asleep. Like most areas of this book, these pages remind you that you don’t need to make a drastic change in order to make a positive one. Working one or two of these tasks into your routine will make it more likely to stick, and you can add more as you become better at it. Many of the suggestions we read recommended a small change to your routine. Reading a book at a park instead of on the couch or running outdoors rather than on a treadmill. For this challenge, we chose to re-work a few of these suggestions to fit our lives. Rather than working all day indoors at our desk, we grabbed our laptops and headed to the roof deck of our office building. There’s hammocks, tables, and even a couch up there, yet we’ve never actually used them! Crazy, right? We found that the change of scenery really helped improve our mood and invigorate our creativity, helping us brainstorm ideas for new posts to share with you guys. Instead of eating lunch inside, we grabbed a park bench and stashed our phones in our bags. Taking a real break during the work day made a big difference. Not only did it helps us stay more in tune with each other, when we headed back to our desks to get back to work, we felt focused, energized, and ready to tackle the rest of our daily routine. We’re very glad that we took this challenge and as the beautiful Fall weather rolls in we’ll be doing what we can to step outside more often. We’ll definitely be looking to Project You for more advice on how to relax in the future as well. One thing we learned from this challenge is that self-care doesn’t have to disrupt your schedule. Often we find ourselves saying “I’d love to take a bath, but I have so much to do!” or a similarly dismissive excuse. While a lot of the suggestions in the book DO ask you to take a break and find a few minutes to yourself to do an activity – like taking a walk, doing yoga, or volunteering, there’s quite a few that can be easily worked into your daily routine. Focusing on your breathing while in the cafeteria at lunch or taking your study group outside don’t require taking time out of your busy day. Some of these suggestions are as simple as finding something to make you laugh or listening to music. No matter how much or little time you have, Project You has a way that you can fit self-care into your life. Some of our other favorite ideas in the book? 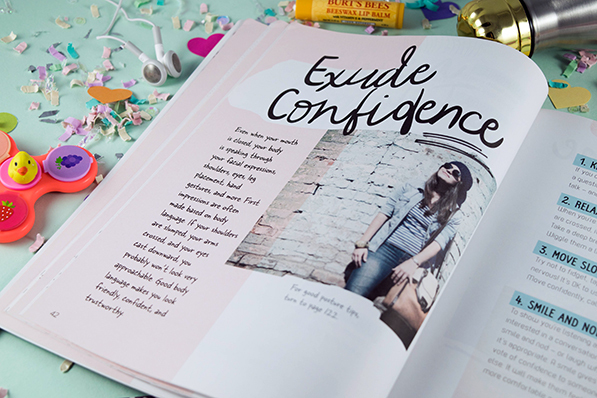 Treat Someone Else (a recipe to bake cookies for a friend), Making a Worry Box (a place to stash all the things that clutter up your brain and stress you out), and Exude Confidence (a few easy ways to change your body language to make you appear and feel more confident). Remember: Not every stress relief tactic will work for everyone. You need to find the ones that will work best for you and make tweaks as needed. Not crafty? 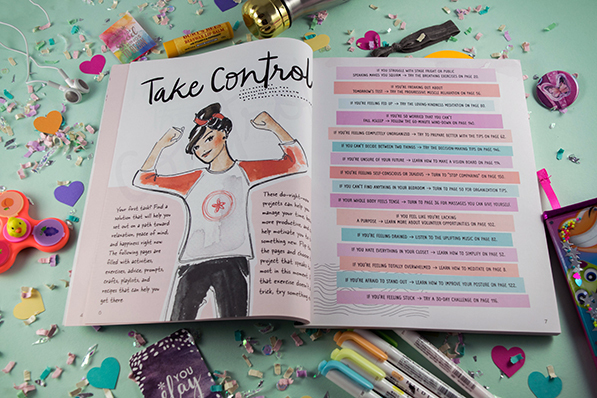 You might feel more stressed than inspired by making a Vision Board, but what if you tried a list instead? Listing out goals you’d like to accomplish or places you’d like to travel is just as inspiring. One of the biggest steps you can take towards discovering your stress-free self is a positive mental attitude. If you believe you can do it, you’re much more likely to actually accomplish something! Project You is now available at bookstores everywhere. 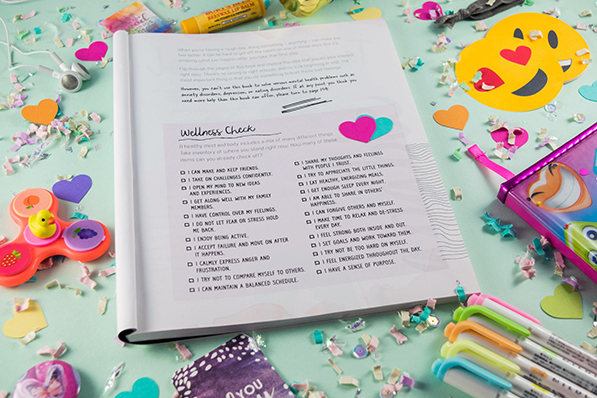 We definitely suggest adding this book to your new school year routine! If you love to find balance and strength within yourself, we think you’ll love the Best. Year. Ever! Planner and Gratitude Journal! Note: We received this product for free from Switch Press in exchange for a fair and honest review. We were under no obligation to write a positive review.